Brian holds a (BS) Bachelor of Science degree (Grambling State University) in Computer Information Systems and a (MBA) Master of Business Administration degree (Webster University). He completed a M.Div. (Master of Divinity) degree as well as a (MA) Master of Art in Pastoral Counseling at Asbury Theological Seminary in May 2012. Brian is currently enrolled in the Billy Graham School of Missions, Evangelism, and Ministry at the Southern Baptist Theological Seminary in Louisville, KY. His goal is to earn a Doctorate of Ministry degree in Church Revitalization. Brian has been happily married to his wife of 19 years, Anna Hinton, and together they have been blessed with the parenthood of two beautiful boys, 11-year-old Christopher Joseph (CJ), and 9-year-old Caleb Joel. 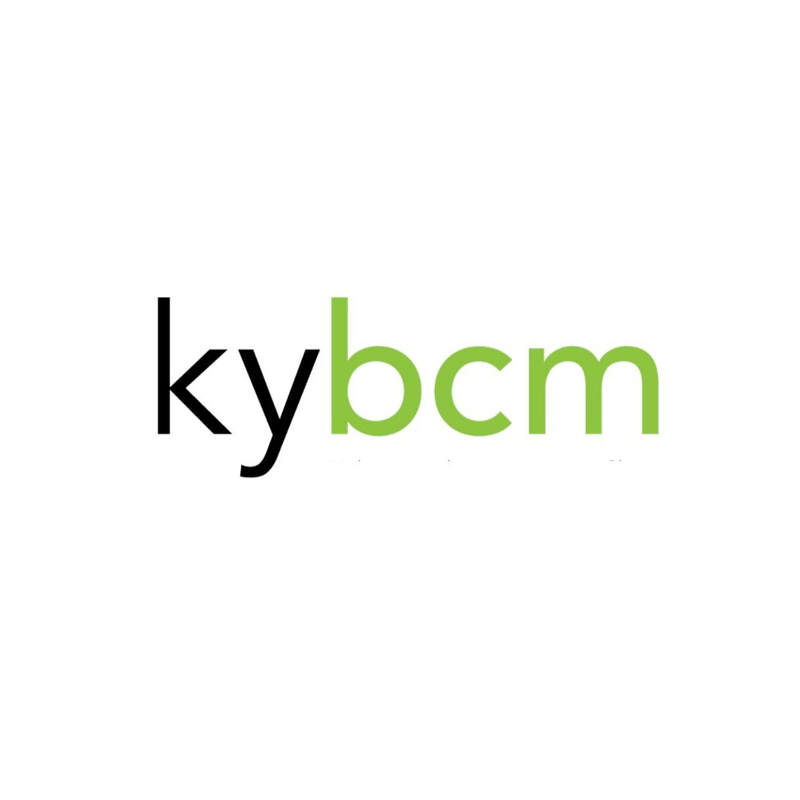 Brian currently serves as a Regional Campus Minister for the Kentucky Baptist Convention (KBC). He previously served as an associate minister at Main Street Missionary Baptist Church, where he faithfully served for 15 years. Brian continues to serve to the local church as a deacon of Buck Run Baptist Church in Frankfort, KY where Dr. Hershael York is the Pastor. Brian.Hinton@kybaptist.org is his email address. Samantha Cranfill (Social/Service Team) I am a junior at UofL and I am majoring in Marketing. I have grown up in Louisville and I attend Highview Baptist Church, where I am involved in the college ministry. In my free time, I enjoy traveling, reading, exploring restaurants around Louisville, and spending time with friends and family. I am excited about serving at the BCM this year! Abby Parrish (Social/Service Team) I am a junior at UofL with a major in early childhood elementary education. I grew up in a small town called Lawrenceburg and I attend Ballardsville Baptist Church in Lagrange where I help out with both the youth and children’s ministry. I am getting married in August and I can’t wait to see how God will grow and use me! I enjoy listening to music and spending time with friends and family. I am so excited to serve the BCM this coming school school year! Matthew Johnston (Family Groups) My name is Matthew and I am a first-year law student at UofL. I was born and raised in Louisville and have been a member of Westport Road Baptist Church since childhood. In my spare time I enjoy reading, playing basketball, and spending time with family and friends. As a former undergraduate student at UofL and alumni of duPont Manual High School, I have spent many years on this campus and I am excited to see the work God is doing and will continue to do. I have been attending BCM for 4 years now and look forward to serving in a new capacity this school year. Isaiah Williams (2018-2019 BCM President- Social/Service Team) Hey guys! My name is Isaiah Williams and I'm a sophomore here at UofL. I come from a rather small town called Winchester, Kentucky aka "Win-City" or the home of Ale-8 One whichever works best. I l major in Computer Engineering and Computer Science and I love writing code. I also enjoy writing and playing music, chilling with friends, and playing sports. Most importantly, I love the Lord and look to serve him in any way I can! As BCM president, I look forward to growing and serving in a bigger capacity than ever before! Jake Marcum (Family Groups). Jake is serving from Throne of Grace Community Church and is currently a student at Boyce College. Jake grow up in Louisa, Kentucky and attended Morehead State University where he was pursuing a degree in the medical field and then Jake encountered Jesus and his life was never the same. He received a calling to ministry and is nearly completed with his undergraduate theological training. Jake has a love of learn and teaching the Bible and will be helping to lead some of the family groups at the University of Louisville. Nick Schwartz (Social/Service Team) Serving from Throne of Grace Community Church. I grew up in Lexington, KY, and came to Louisville to pursue school and ultimately prepare for ministry. Down the road, I’d love to pastor or serve a church in any way I can. Love to be around people. Main hobbies right now include: basketball, guitar, eating, coffee, anything that involves other people. Catch me at the BCM or a coffee shop sometime!